Margot has two desires in life (three if you count wanting to be a princess). 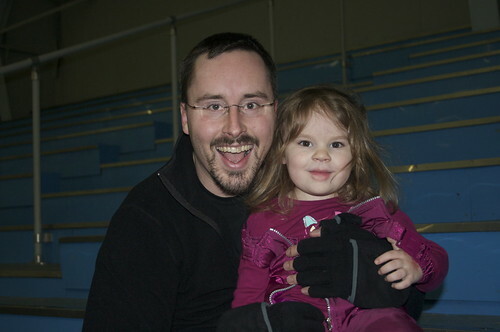 She wants to play ice hockey like Daddy and do ballet. 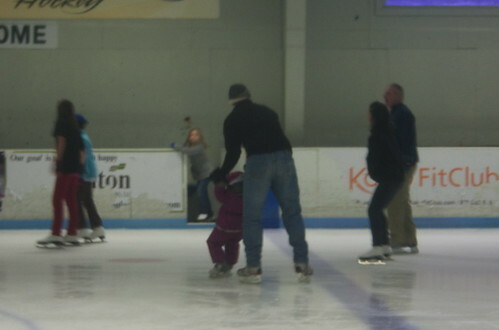 We gave her a leg up on the first dream by finally taking her ice skating. 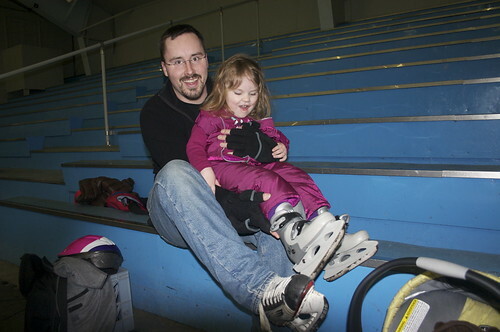 The first surprise came when she let Daddy put the skates on and didn't complain once about how tight they were. 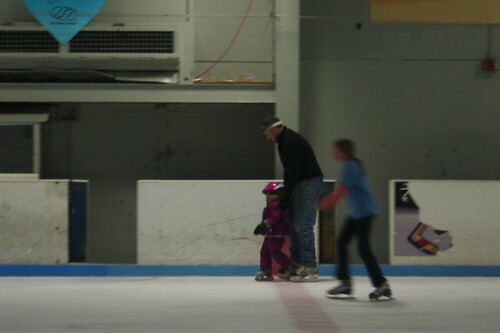 This was a big issue when we bought the skates. 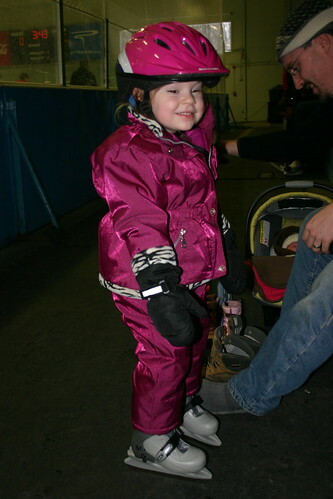 Oddly, getting the helmet on was a bit of a challenge, but then she was safe to go out on the ice. And they were off. There was some falling over and some holding on to the wall. When Margot came off, she was so happy and excited. She laughed when she told me about falling over and how not-very-bad it was. Isla slept most of the time and woke up to celebrate her big sister's accomplishment. 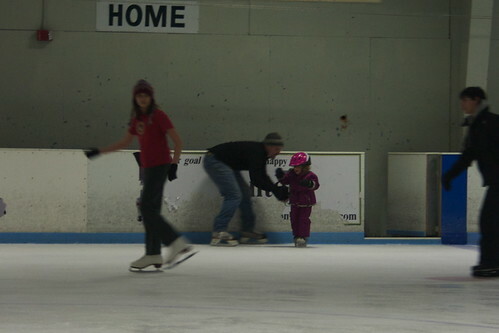 Next year Margot will be old enough to take lessons. None of us can wait! She looks so proud of herself, too. Love it!